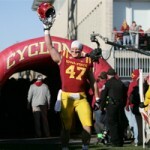 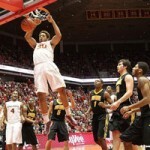 Iowa State dropped their regular season finale to the visiting West Virginia Mountaineers. 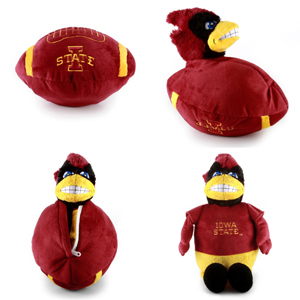 Sam Richardson threw for three touchdowns in his first start at Jack Trice Stadium. 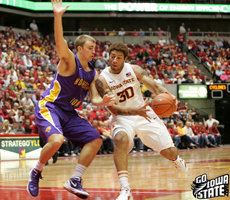 The Iowa State Cyclones suffered their second loss of the season to an in-state rival when UNI defeated them 69-61 in front of a packed Hilton Coliseum. 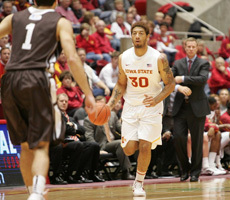 Iowa State and Drake split a double-header at the Knapp Center on Tuesday night. 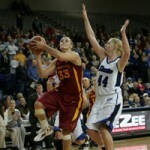 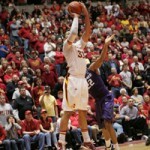 The ISU women rallied to win 71-64 while the Cyclone men fell 74-65.